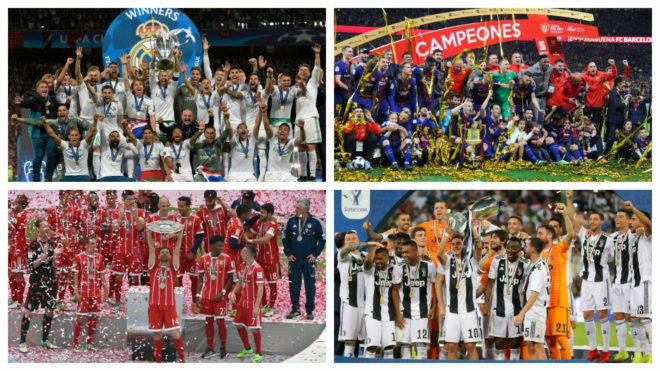 It seems crazy that Pep Guardiola would believe that Real Madrid are not one of the best sides from the last decade, despite winning four of the last five Champions League trophies, yet he argued that Juventus, Barcelona and Bayern Munich are ahead of Los Blancos. This is because, in Guardiola‘s eyes, the best team of the last decade should also dominate in their league and in the domestic cup, as well as the Champions League. “Bayern, Barcelona and Juventus are the best teams of the last decade,” he said. To this, Guardiola set his criteria for the best side of the decade. We at MARCA want to know your opinion: starting from the 2010/11 campaign, who is the best team of the last decade?